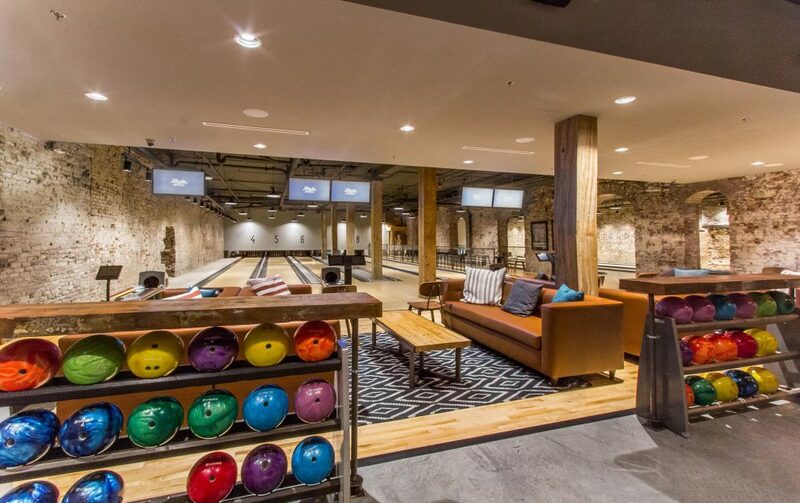 Maple Hall - R2R Studio LLC. 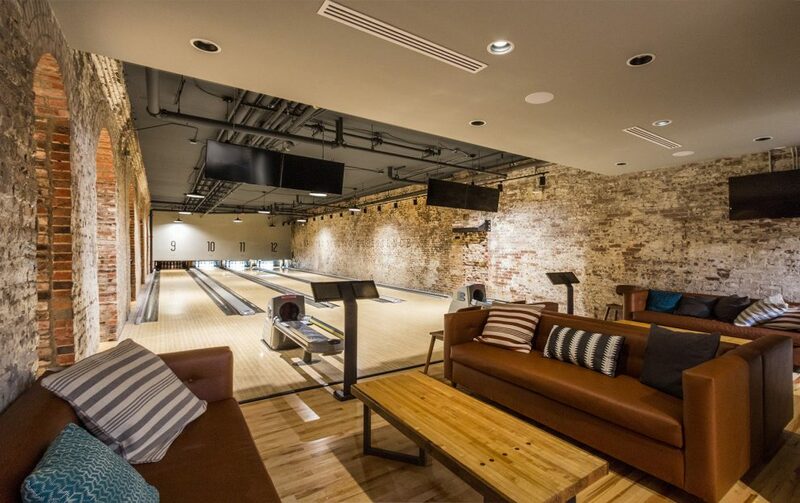 A large basement in historic downtown Knoxville required a unique tenant—that tenant is the Maple Hall Bowling Alley. 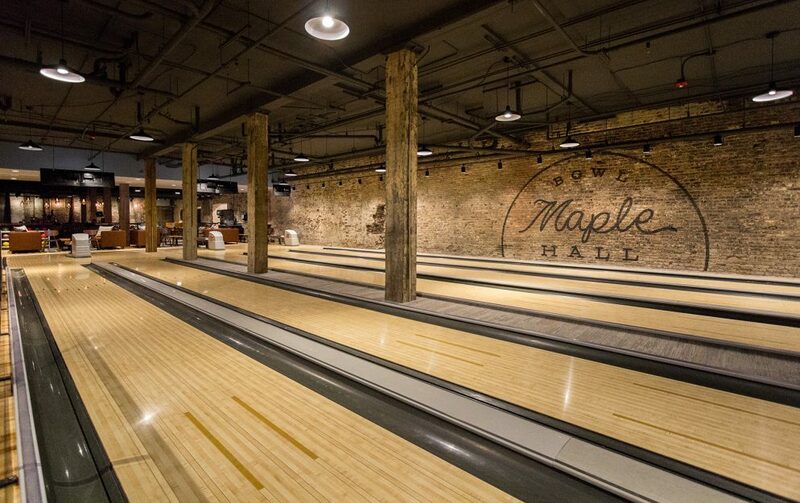 Located in the original J.C. Penney building, the name Maple Hall is derived from the maple wood traditionally used on the approach of bowling lanes as well as the owners’ focus on creating a gathering and social space. 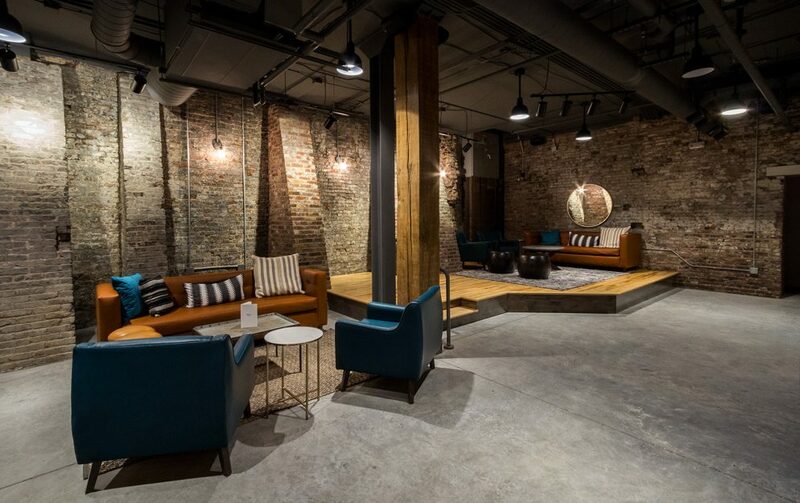 Guests are invited to lounge, perform, and play in every corner, with plenty of seating areas offering opportunities to view the music stage or enjoy the bar while they wait for their lane. 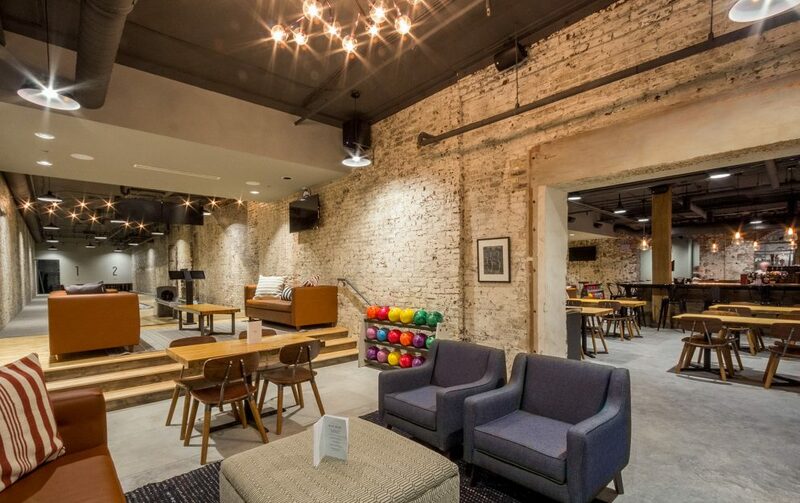 Vintage elements were brought into the decor though the use of locally salvaged bowling lanes repurposed into furniture. 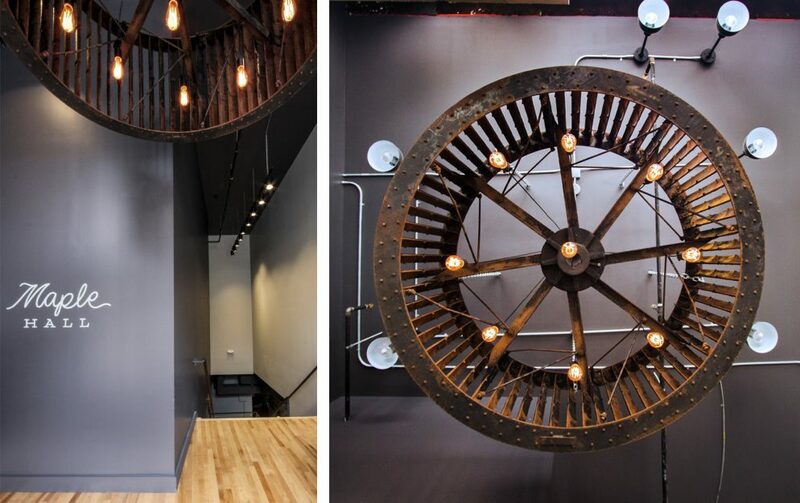 A steel fan found in the basement space was converted into a large chandelier at the main entry. 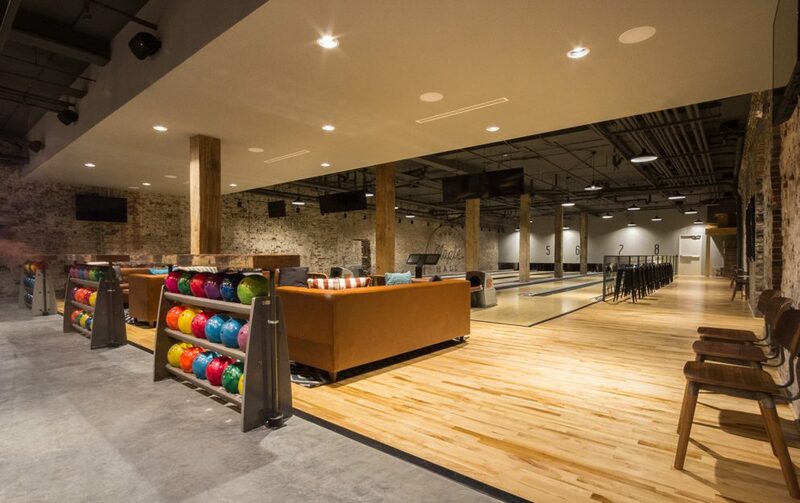 The original brick walls of the basement are highlighted with subtle graphics, archways were added to open up the originally dark, divided spaces, and the original floor was raised to allow for bowling and seating to occur at the same level – all with the goal of creating an open and interactive environment. 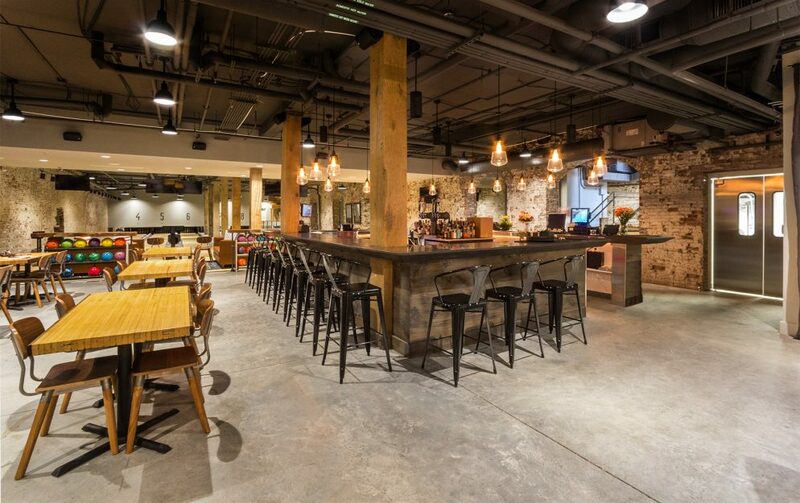 The work shown represents a collaboration with Lauderdale Design Group, Knoxville, Tennessee. 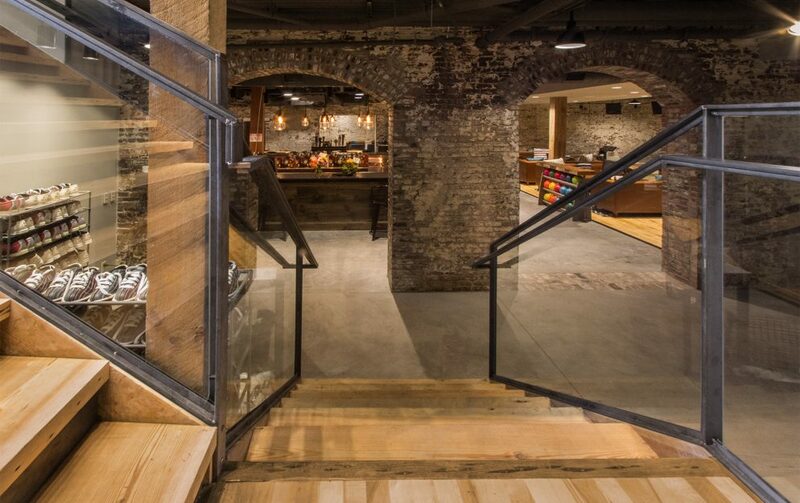 Maple Hall is a recipient of a 2018 AIA East Tennessee Citation Award – Renovation/Restoration.